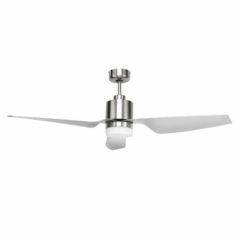 The Mercator Luna ceiling fan in White has a modern look and feel which would be well suited to interiors with a contemporary style. 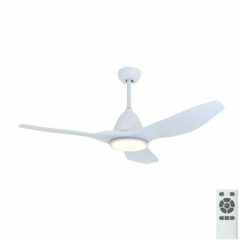 It has a high performance 60W, AC motor and produces an airflow of 9100 m3/hr. 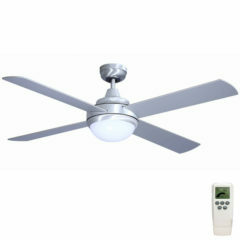 This model comes with a 20W (4000k) integrated LED light. 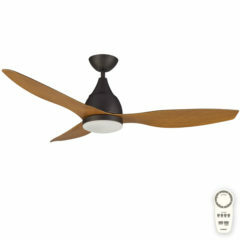 The Kimberley II ceiling fan is brought to you by Mercator and features a simplistic 4 painted timber blade design. The Kimberley series with its 55W AC motor reaches 8,410m3/hr and comes with a 3 speed wall controller as standard. 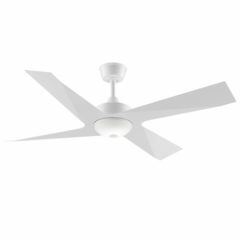 This model is with light. 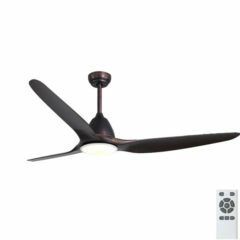 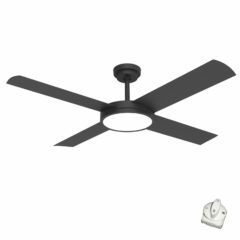 The Builder Plus ceiling fan has five timber blades that features a sleek finish. 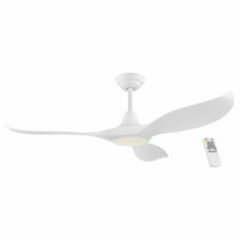 This Hunter Builder Deluxe fan model comes with a White body and White blades, the superb design will be the final piece to any room suitable for indoor use only. 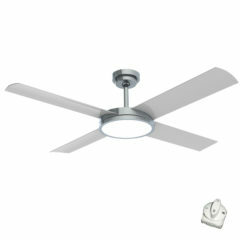 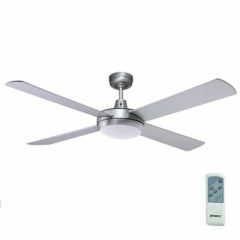 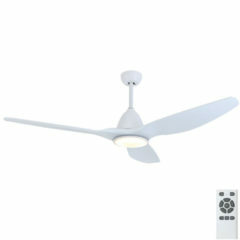 This Hunter Builder Plus ceiling fan is white body and blades comes complete with lights. 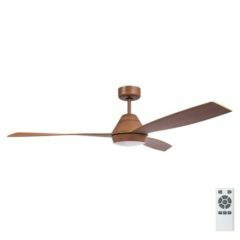 The Eurus ceiling fan has three timber blades that features a sleek finish. 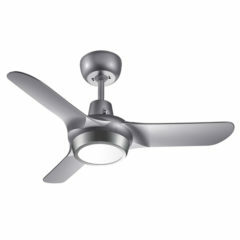 This Hunter Eurus fan model comes with a Brushed Nickel body and Coffee Bleech blades making it a contemporary looking fan suitable for indoor use. 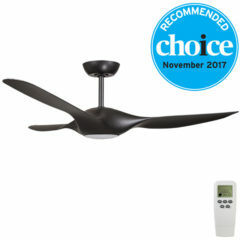 This Hunter Eurus ceiling fan package comes complete with light and is wall control operated (included). 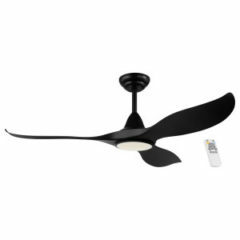 The Intercept Ceiling Fan has a 1320mm (52 inch) four blade sweep, Australian Design Die cast Aluminium housing with Timber painted blades. 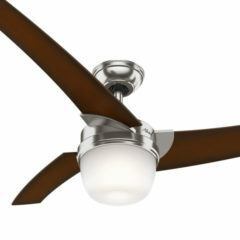 This model includes a dimmable 24w LED Light. 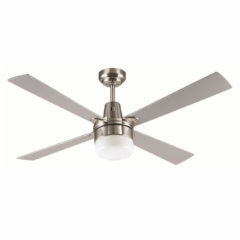 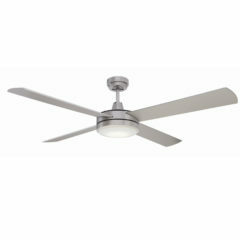 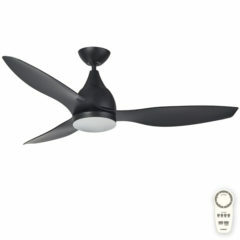 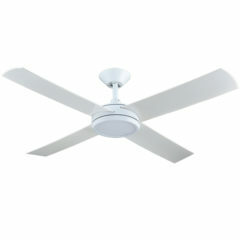 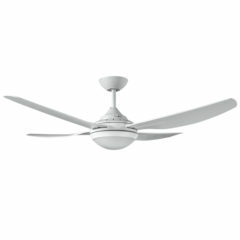 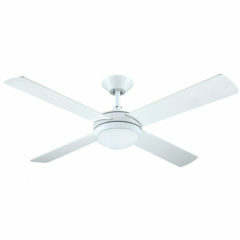 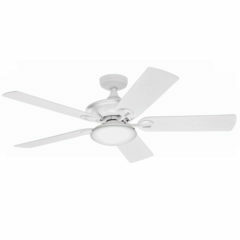 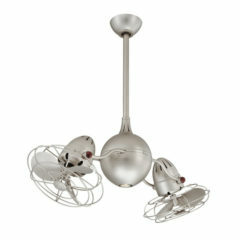 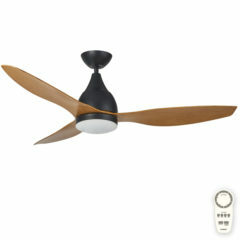 The Nova ceiling fan has three plastic blades that features a sleek finish. 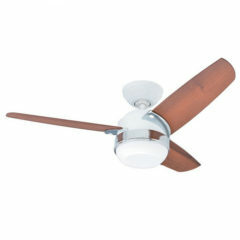 This Hunter Nova fan model comes with a White body and Walnut blades – a modern styled fan suitable only for indoor use. 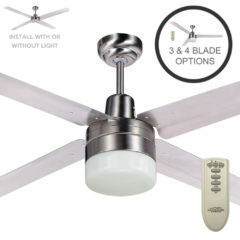 This ceiling fan comes with an integrated light.